...and only the promise of champagne and Harvey Nichols could have lured me out of the flat this weekend. The champagne was at the Grand Central Hotel, with its pristine new art deco decor - it's all marble floors, crystal chandeliers, and silver geometric ceiling tiles. The Harvey Nichols was in the form of the new pop-up shop in St Enoch Centre. 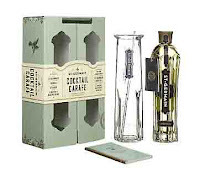 This vodka is made in limited numbers, and with its tangy orange flavour, would taste amazing in any number of Christmas (or should I say, Halloween?) cocktails. 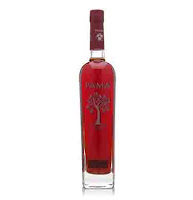 I haven't yet tried this combination of pomegranates, vodka and tequila, but I'm dying to. 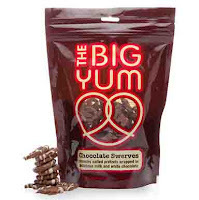 There is just something about the combination of chocolate and pretzels. For the unconverted - I don't know how to explain this, other than the sweetness of the chocolate and the saltiness of the pretzel just work. Trust me. 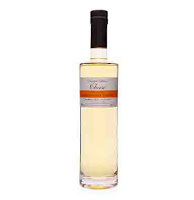 I absolutely love this liqueur, and though I think of it as more of a summer drink, I'm never really going to turn it down. 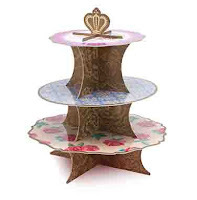 This adorable cardboard cake stand would make me feel like I was having tea in a dollhouse.